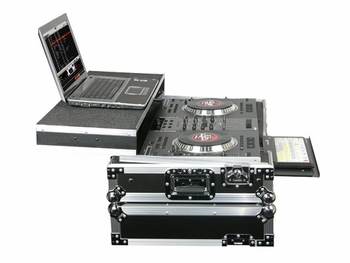 Odyssey FZGSNS7W Glide Style Case for NS7 Serato Itch DJParts - All Variety of Parts that DJ Needs. Description: FZGSNS7W: Glide Style case for the popular Numark NS7 DJ MIDI Controller with Serato Itch. The FZGSNS7W features our patent pending Glide style tray, perfect for setting Laptops, hard drives or effect units. 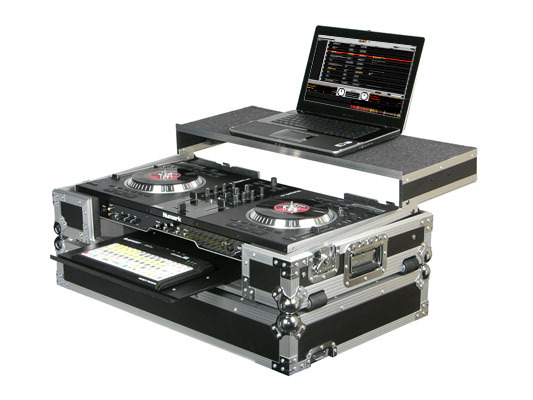 Under neat the player we added a cable port hole for cable management and that clean look that every DJ has been asking for. Our ventilated pits keep your NS7 cool while you continue to stay hot in your Mix. Another one of Odyssey's signature is the integrated slide out tray, perfect when combined with our Control SL keyboard (Sold Separately).